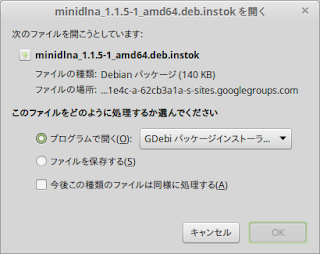 最新Wineを導入する。How to install Latest wine. ■Step1 1ｓｔ, You shoud install 1.1.2 by maintainer version from launchpad. check version. 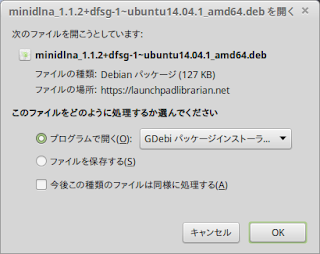 バージョン確認。you will get '1.1.2'. ■Step2 You may install 1.1.5 by My Package which is NOT Official Version . 再起動後 after reboot. you may check . Maybe You may/can edit /etc/minidlna.conf to use miniDLNA.